"32. Pułk Lotnictwa Rozpoznania Taktycznego" book by Marian Mikołajczuk is the first item in the new series published by Rossagraph company from Poland. 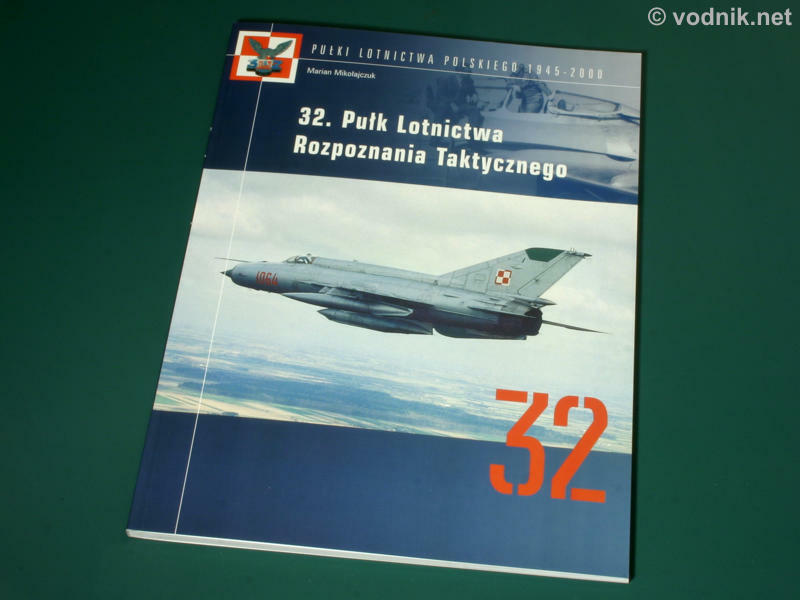 The series title: "Pułki Lotnictwa Polskiego 1945 - 2000" can be translated to "Polish Air Force Regiments 1945-2000" and it will present a history of various tactical units of Polish Air Force after the World War 2. 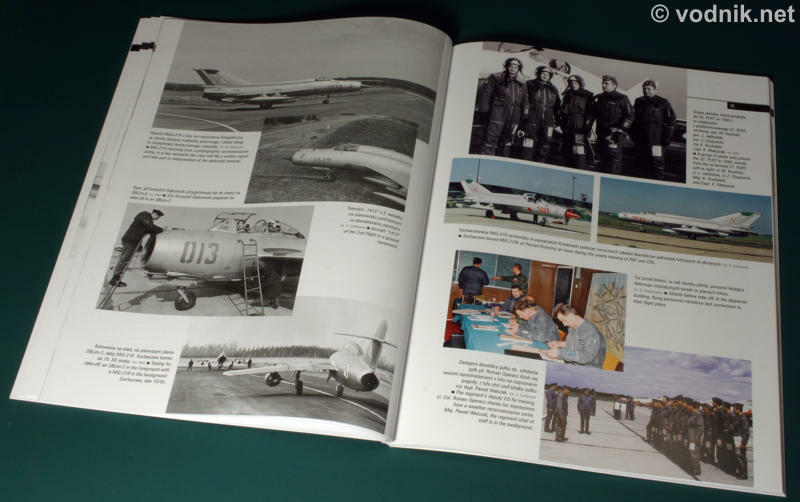 The reviewed here first book in the series is devoted to the 32nd Tactical Reconnaissance Aviation Regiment (the Polish name of this regiment is a title of the book). The book is a 96 page soft cover publication printed on a very good quality paper (300 mm x 220 mm). It is richly illustrated with mainly black and white photographs, but there is also a lot of color photos, particularly in the second half of the book, describing more recent history of the unit. 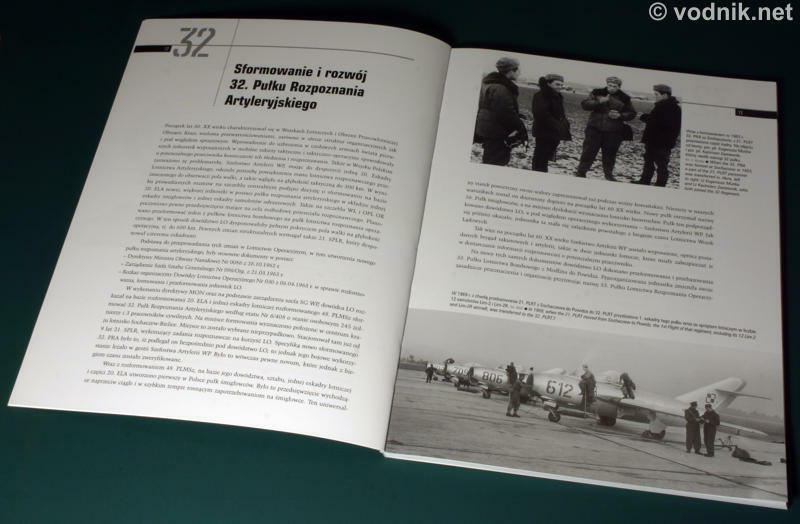 The main text in the book is printed only in Polish, but captions for all pictures are bilingual in Polish and English. At the end of the book is also a three page English summary, which presents abridged version of the 32nd Regiment history. The first chapter of the book describes on five pages aviation traditions of town of Sochaczew, where the 32nd Regiment was formed. 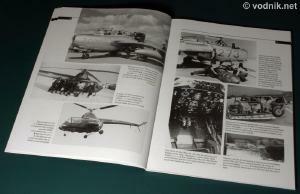 In the second chapter, which actually takes the rest of the book, we can read about the creation (in 1963) and development of 32nd Artillery Reconnaissance Regiment, renamed in 1968 to 32nd Artillery and Tactical Reconnaissance Aviation Regiment, which finally became 2nd Tactical Reconnaissance Aviation Regiment in 1983. The Regiment was disbanded in 1997. During 34 years of operations the unit used several various aircraft, both helicopters and airplanes. On photographs in the book we can see some of them, namely: SBLim-1A, Lim-2, Lim-2R, SBLim-2, SBLim-2A (all are various Polish versions of MiG-15 family), MiG-21R, MiG-21UM, MiG-21PFM SPS N, TS-11 Iskra and An-2 airplanes and SM-1 (Polish built of Mi-1), SM-2 (Polish development of Mi-1) and Mi-2 helicopters. Photos also show various reconnaissance equipment used on those aircraft. All Lim planes are shown only on black and white photos, but MiGs are also presented on many color pictures. 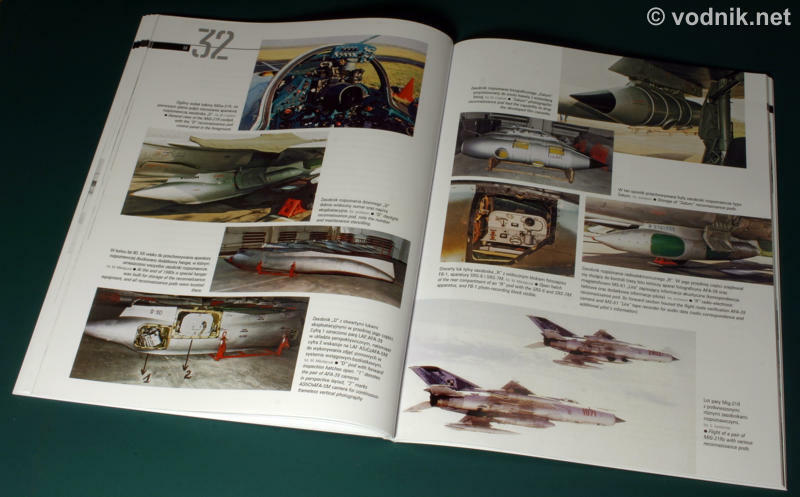 Two MiGs 21R, two Lims and two SM helicopters are also shown on color plates at the end of the book. Only one view of each aircraft is shown, but it is enough to show rather basic markings applied to 32nd Regiment machines. 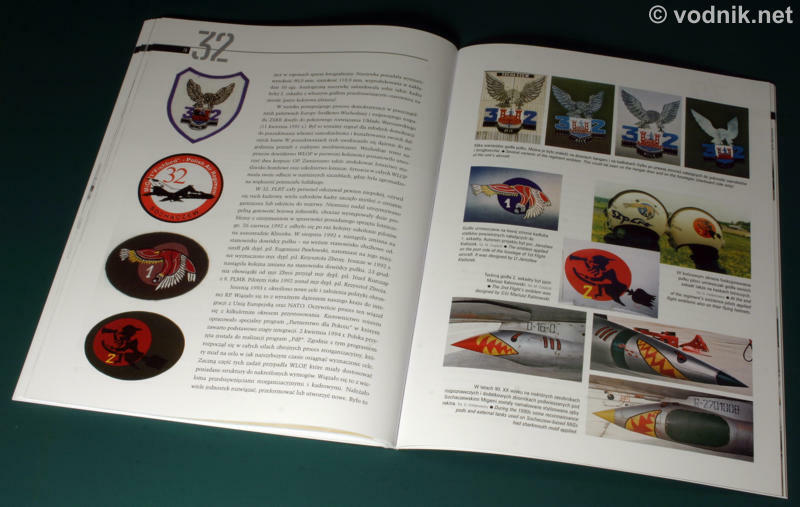 In the book we can also find a few photos of various badges, insignia and emblems used by the Regiment and it's units. Three pictures show the shark mouths which appeared on reconnaissance pods and external fuel tanks of some of Regiment's airplanes in the 1990s. The history of 32nd Tactical Reconnaissance Aviation Regiment is illustrated mainly with black and white photos. Among photos of various aircraft used by the Regiment are also some close-up details shots and cockpit views. In the second half of the book some color photographs start to appear, showing both men and machines of the Regiment. Pictures on these pages show various reconnaissance equipment used by the Regiment. Photos and descriptions of badges and emblems used by the Regiment. Color plates show markings of some of Regiment's aircraft. At the end of the book we find tables, in which all aircaft used by the 32nd Regiment are listed with details of their origin, dates of service with the unit and information about their later fate. 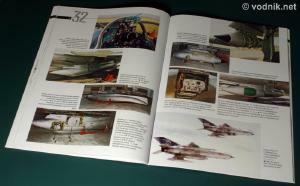 Rossagraph book should be particularly useful for readers interested in a history of Polish military aviation. 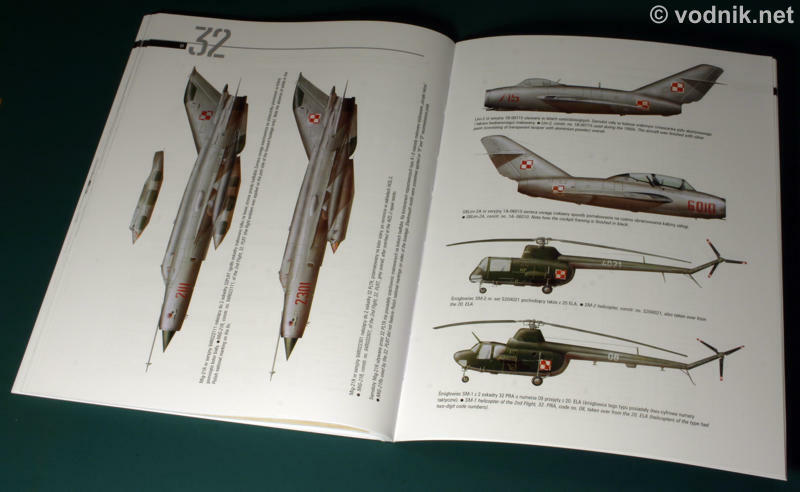 While the majority of text is Polish only, the English summary at the end of the book and photo captions provide enough information to make this book worth attention of international readers. 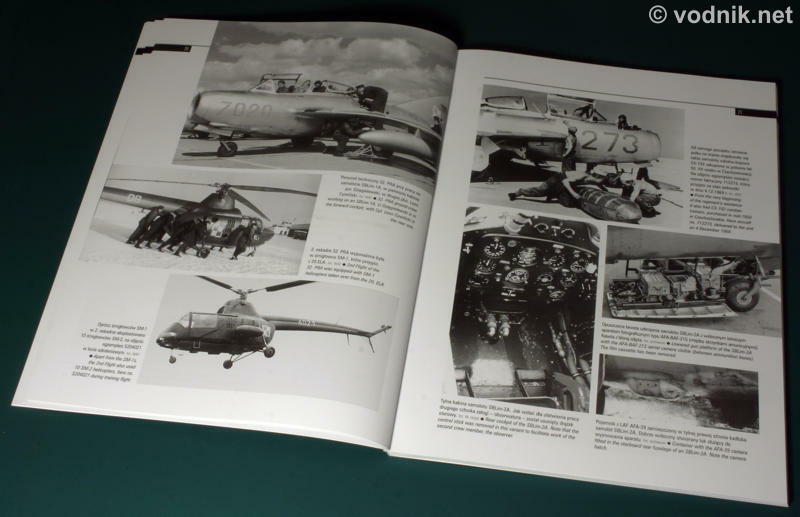 Modelers can find photos in the book useful as references for building Lim and MiG models, particularly their reconnaissance variants. 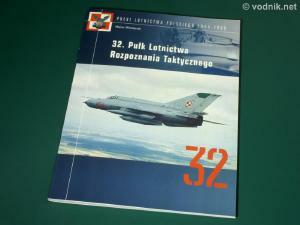 The intention of the book was to present a history of one of Polish aviation regiments and this goal was achieved in excellent style. The book was not meant to be a modeling reference, but it can still be used as such, thanks to the very good quality of included photographs, both color and black and white. Many thanks to Rossagraph for the review sample! Rossagraph books are distributed in USA and Canada by AirConnection (www.airconnection.on.ca). For a list of other distributors and resellers contact Rossagraph at kolportaz@rossagraph.internetdsl.pl.